What is the silliness? If you mean some of the douche$ attached to them, then sure, I can understand. But the Explorer II has a great movement and flys under the radar without being ostentatious or intimidating (unlike a Platona). I'd be worried about losing metal or changing the contour of the lines, if making the drastic changes that Father John mentioned to his SM300MC. 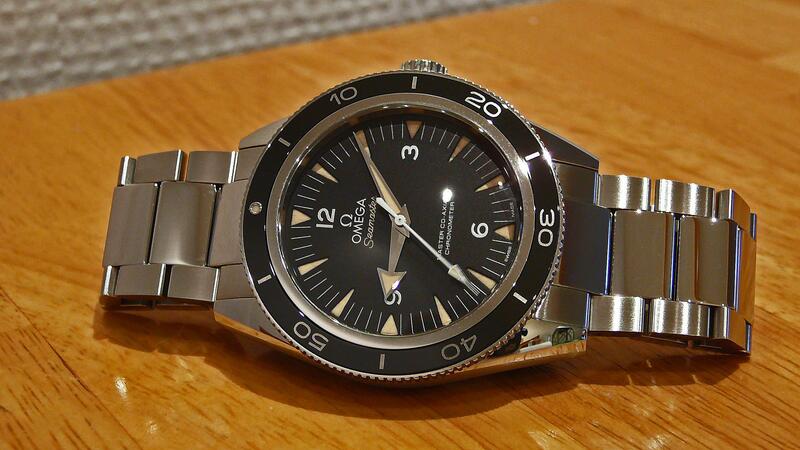 "Rolex silliness" goes beyond the never ending debate as to which is better, Omega or Rolex. We all are tired of that silliness for sure. The Rolex Service Center refused to perform warranty work on my GMT because I was not the original owner. 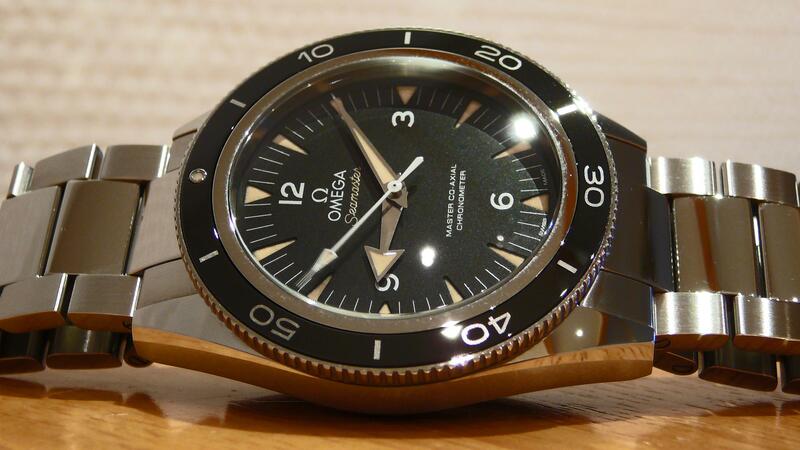 They explained to me that, unlike Omega, the warranty followed the purchaser and not the watch. So I shipped the GMT to the Dallas Rolex center and they performed the warranty work without question. Go figure! There is also a difference between the Rolex USA warranty and the Rolex SA warranty. All that is required under the "SA" warranty is the watch and warranty card. For warranty work on a Rolex purchased outside the US, Rolex USA requires a sales receipt in your name proving that you personally purchased the watch from the non-US Rolex dealer. This in addition to the warranty card. And of course, any Rolex watch not sold by Rolex USA coming through US customs is subject to confiscation. Rolex USA has also restricted access to Rolex parts and has been known to arbitrarily remove watchmakers from their approved list. Plus, any watch sent in for service which has been modified will not be serviced unless you are willing to pay to have it put back to OEM condition. Then there are the almost annual price increases to create the illusion that Rolex watches hold or even increase in value. As for my statement that there is nothing in the Rolex line to compare with the 300 MC, I stand by it. If you disagree, prove it to me. I'm willing to listen. Wow, a lot of bitterness here - I'm sorry that you've had such a bad experience with the brand. I can't relate - I have imported Rolex watches from Germany to Switzerland without a problem (except some delays because of the 18kt flute on the Datejust which got the watch held up in customs for 3 days). I've also sent my submariner to Rolex Geneva for servicing and they never said a word about my not being the original buyer / owner. The 'SA' in Rolex SA stands for 'Société Anonyme' which is the Swiss / French equivalent of 'incorporated' and just means that the company has issued stocks and isn't privately owned. This has absolutely nothing to do with the warranty on the watches. Unfortunately, I've heard of Rolex' policy of revoking ADs' right to sell Rolex watches. This has been part of a consolidation process that is ongoing and isn't unique to Rolex. There were two Omega ADs in a town some 10km from here. Both got their licenses revoked in the last few years. Omega reduced the number of ADs from around 100 in Switzerland to about 20 - Rolex, Tag Heuer and IWC did the same thing. As for Rolex not having anything like the 300mc - I don't want to start some crazy argument here. As I said, I like the 300mc and the Submariner equally and that's all that counts for me. I wouldn't have the lugs done as I like them the way they are - but I can why someone would want them brushed. I think getting the bracelet done is a minor thing, though. No bitterness here. I've worked hard for my money and do not wish to deal with companies with questionable business practices. I love my polar 42mm EXPII. So much so that I bought it locally and paid MSRP. I loved my SeaDweller but gave it up for the PO LM LE. I loved my TT GMT Master II but was afraid to wear it for fear of damaging the poorly designed ceramic bezel. Yes, Larry, the EXPII does travel under the radar and that is the primary reason I have never owned a Sub. In many ways, I found the EXPII to be the perfect watch but the 300 MC leaves it in the dust. I have no qualms about letting the EXPII go to a new home. julywest, pk_diver, phranxinatra and 4 others like this. well mine may have lost 30% from retail but then again I did not pay retail so 30% off of $6600 is fine. Would love to get that when needed. Again If I did that then sold I would disclose that I done that. Thanks for the info. Since I have never owned one, I am not qualified to speak. 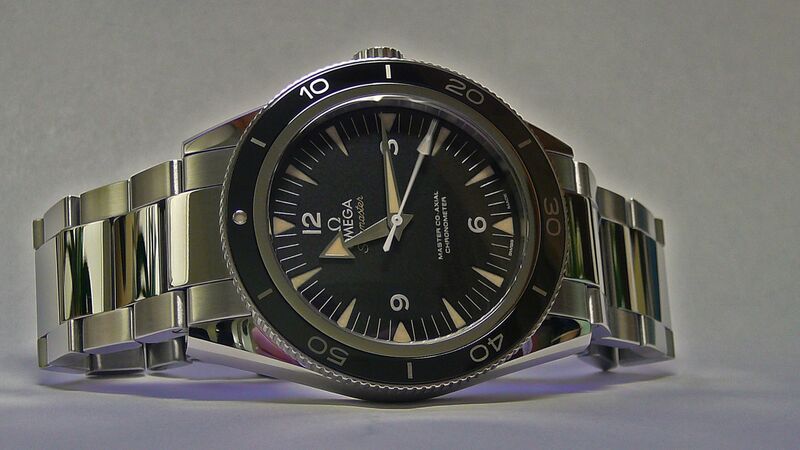 When I did my original "analysis" of which watch I wanted over 25 years ago, Omega trumped Rolex for me. Every time since when I try to buy a Rolex, I just come away underwhelmed. Sorry if anyone takes offense. The SM300MC bracelet (PCLs aside) to me is just so much better than a glide lock.